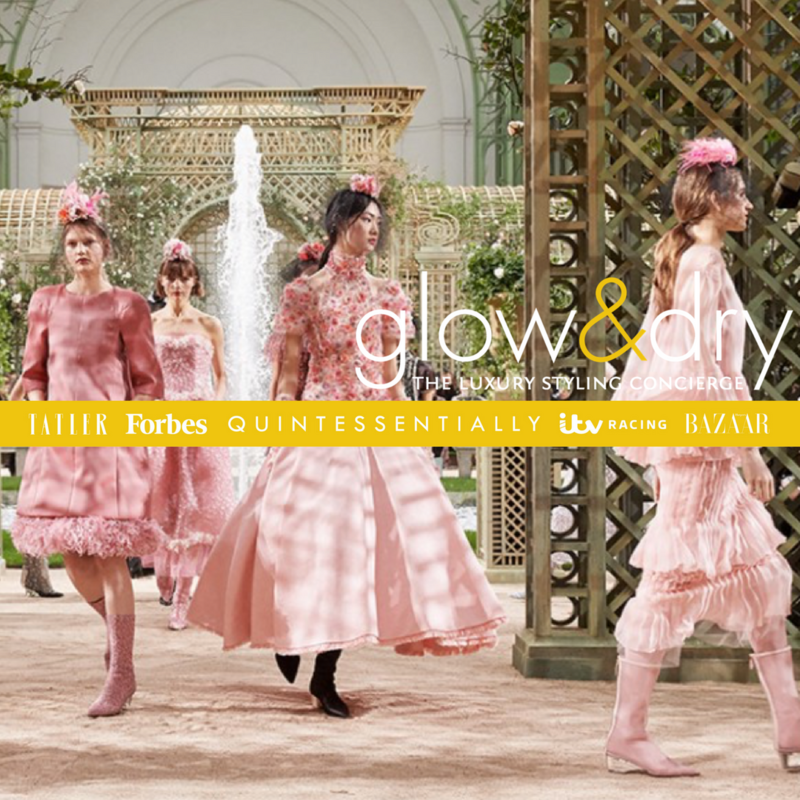 Glow all the way to Royal Ascot this year! Because when you have a team of highly recognised industry hair & make up experts who are regulars at London, Milan & Paris Fashion Week as well as for the global Victoria Secret & Dolce & Gabbana shows – you know you’re in safe hands. Glow&Dry are hands-down my favourite mobile beauty service, every stylist is utterly professional and carefully handpicked by founder Scarlett Gray herself. Scarlett showcases years of experience within the luxury lifestyle sector including Events Manager at The Hurlingham Club & Lifestyle Manager at Quintessentially Concierge – so it’s no surprise her Black Book of Stylists are the best in their business. Right from the get-go, everything is uniquely tailored to the individual, you have the power to select the specific artist to style your Hair, Beauty, Fashion, Event & Lifestyle at individual cost that is right for you. This year Glow&Dry are your go-to for Ascot, introducing their Royal Ascot “Morning String” group service so you can host your girls friends for a group stylist session. Not going to Ascot? You can still get an exclusive 10% discount on all individual & group bookings for Bee Bazaar readers! Simply quote “Bee Bazaar” on booking via Email: booking@glowandry.com Or Tel: (0) 203 8970 773.